Author in front of rooftop UFO. 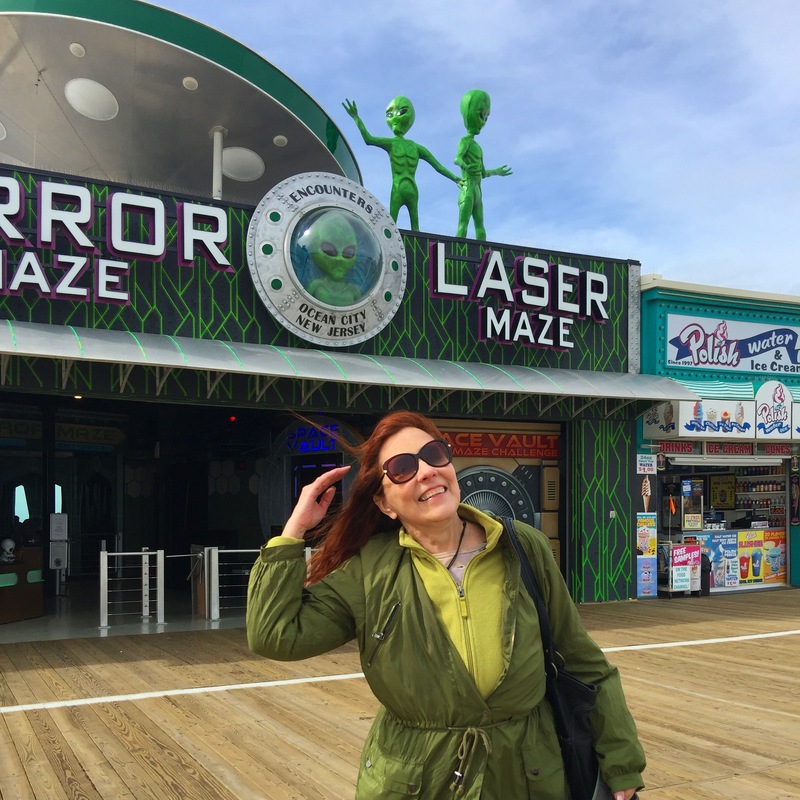 A few days before Memorial Day weekend 2017, I went to the NJ shore. There I visited with a woman friend of many years. We walked the boards and talked about our escapades of previous years, including singing “We German” to the tune of Bob Marley’s “Jammin'” in Upper East Side night spots along with another mutual friend. That, and the UFO model on the roof of a boardwalk business led us into a discussion of psychoactive substances such as ayahuasca. But what did our Northern European ancestors do to commune with the higher realms? Why should we have to travel to South America to partake of this magical substance to become enlightened? 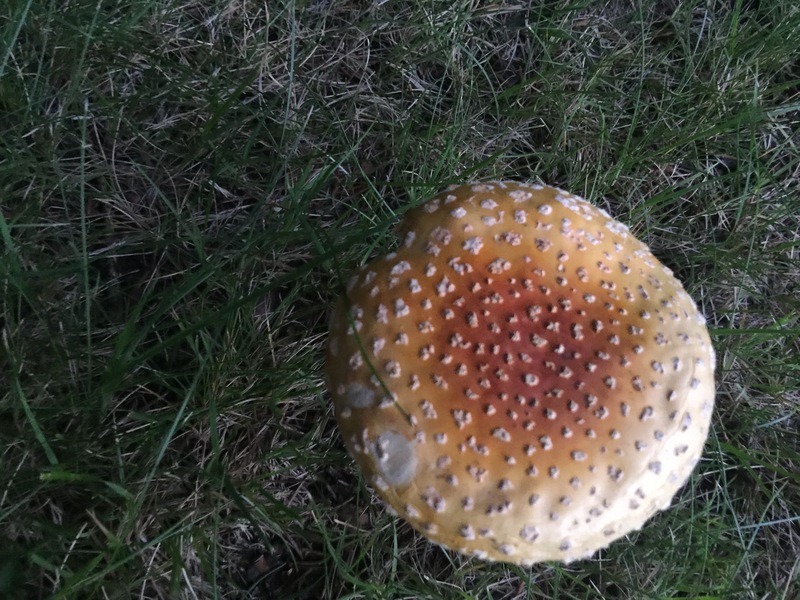 Our conversation turned to fly agaric also known as Amanita muscaria. 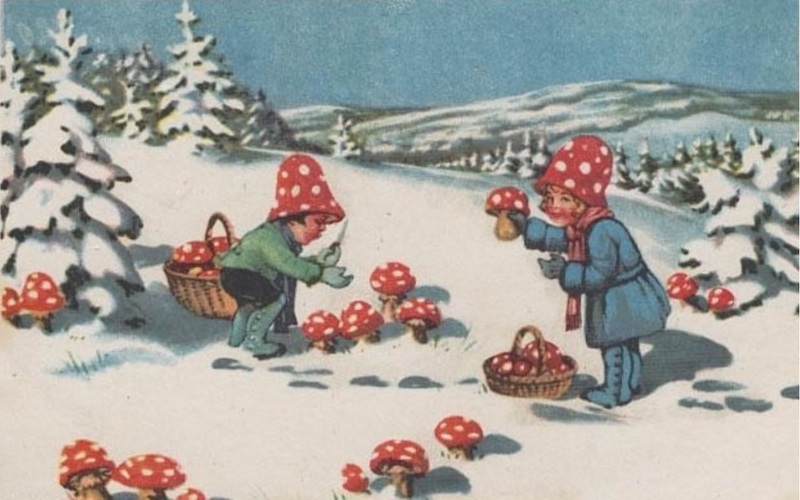 This mushroom is associated with shamanism, Santa Claus, and reindeer. You can see it on many German and Swedish Christmas cards. It is prevalent in illustrations across Iceland and probably other Nordic countries as well, but I am speaking here from experience only. I actually purchased a delicate glass tree ornament of a fly agaric mushroom at a Christmas shoppe in northern Iceland. Now think about Santa Claus. According to tradition, he lives at the North Pole and flies in a sled pulled by reindeer and he wears a red suit. This description fits that of a Siberian or Lapland shaman. It is known that tribes from the Arctic region, particularly their shamans, ingest fly agaric to go on spiritual journeys. They also herd reindeer and the reindeer also eat the mushrooms which incidentally grow underneath fir trees (Christmas trees). 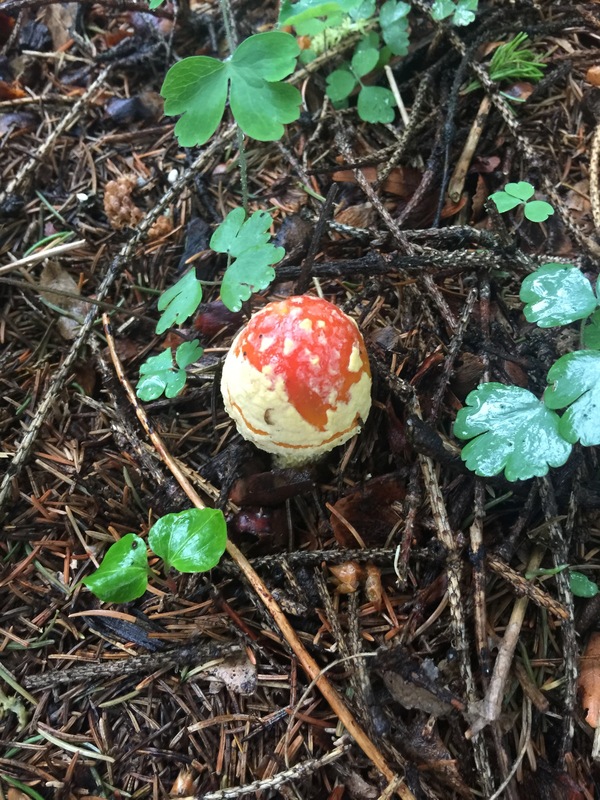 So my friend and I agreed that probably the most culturally appropriate way for us to experience higher realms would be to dose ourselves with fly agaric. This was all said largely in jest and under the influence of a vodka and tonic. 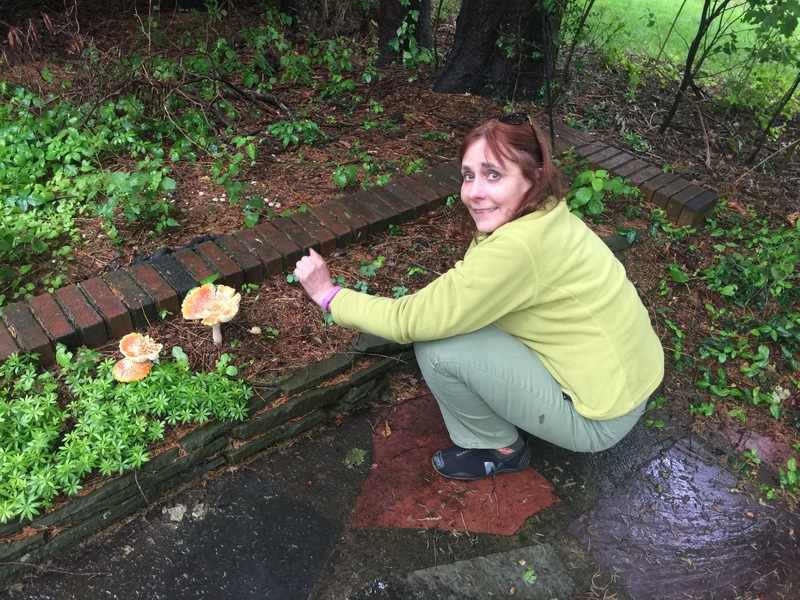 No way that either of us intended to go out and find and consume potentially poisonous mushrooms that neither of us had ever seen in the “flesh”. In fact we doubted that it grew in our area of the world. Shortly thereafter I drove to Northern New Jersey where at a familiar location I found these mushrooms. A NOT intrepid explorer and fly agaric mushrooms in a bed of sweet woodruff under fir trees. I have spent much time at the location in various seasons but NEVER saw this type of mushroom there or anywhere else. I am interested in mushrooms and as a child broke out in a horrible rash from excessive handling of puffball mushrooms. I always stop to look at mushrooms when I see them in the wild. Needless to say I was blown away by this seeming synchronicity, I actually felt like the mushrooms were calling me to have a taste. But I didn’t. I had heard all the stories of professional wild mushroom pickers who died from making a wrong identification. About a week later I visited Providence Rhode Island and came upon these sweeties on an evening walk. This was beginning to get uncanny. 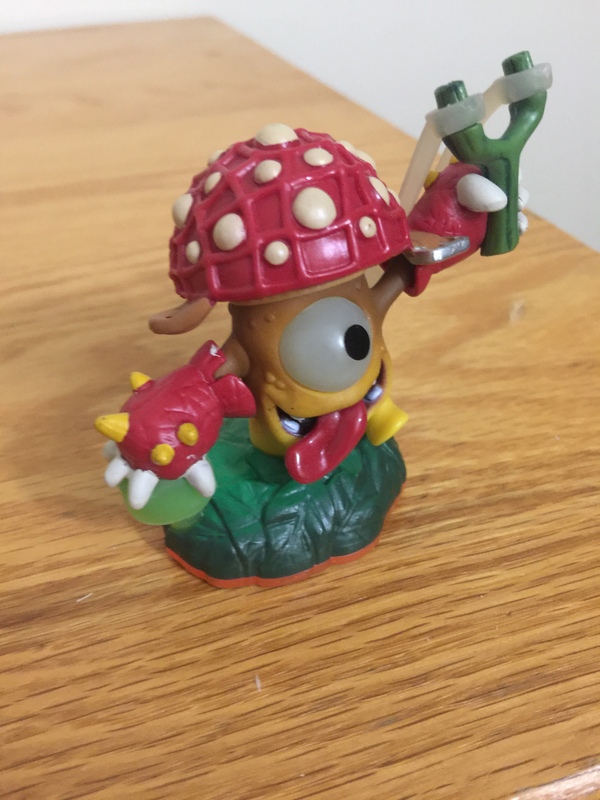 Then I received this toy figure as a gift. I don’t usually do a photographic essay for a blog post, but this little episode really calls for it. I still haven’t ingested any fly agaric, though I can’t say I’m not tempted. I think that the late Terence McKenna explained this best. 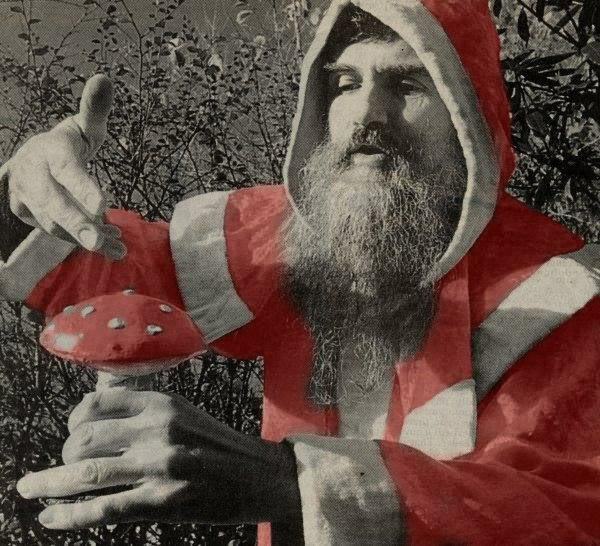 He spoke of mushrooms being conscious and their spores traveling through outer space. 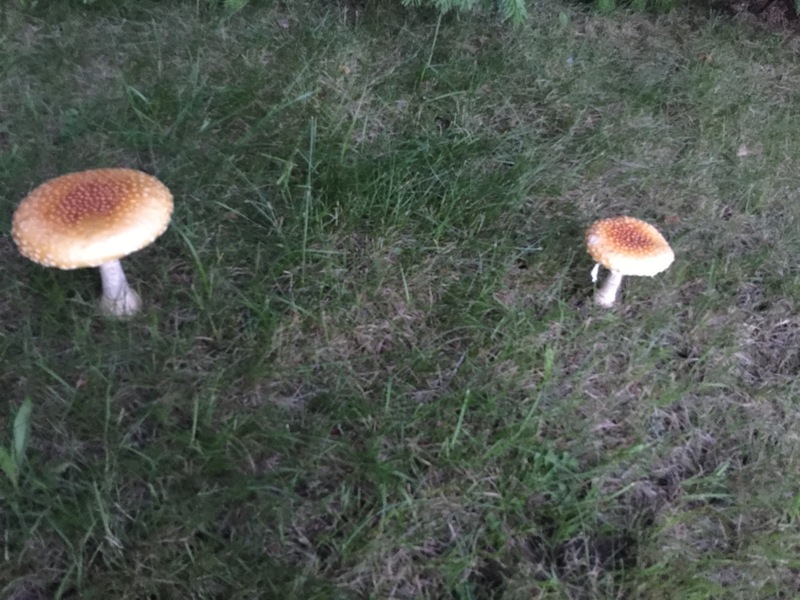 Could these mushrooms have been speaking to me? I think that they were. I think they were speaking directly to the Neanderthal in me. Listen to Terence MaKenna on this subject (short) on YouTube. Fahrusha is a professional intuitive and co-host of Shattered Reality Podcast.